ANTHONY Cacace will make his long-awaited comeback in a 10-round super-featherweight contest against Argentina's South American featherweight champion Alan Isaias Luques Castillo on the undercard of James DeGale versus Chris Eubank jnr at London's O2 on Saturday night. The latter stages of the bill are on ITV pay-per-view but Cacace is scheduled to be on the free-to-air content starting at 6pm and his manager, Pat Magee, says this the highly-rated Belfast fighter's chance to show the rich potential that has remained largely untapped throughout a 16-1 professional career that began back in 2012. Invariably, Argentinians come to fight and Magee isn't expecting anything different from 5'7” Castillo in London. The 27-6 South American's most high-profile contest was against Diego De La Hoya in 2017, he lost on points but hasn't been beaten since. Cacace didn't fight at all last year. His last outing was in December 2017 when he outclassed Reynaldo Mora five months after losing narrowly to British champion Martin J Ward. Since then the boxing world has moved on but Cacace has been standing still and, for manager Magee, ‘the Apache' simply has to make up for lost time this year. “I hope to keep Anthony busy,” said the Belfast boxing aficionado who mapped out Brian Magee's path to glory at super-middleweight. If all goes to plan, by the end of the year Magee is confident there will be plenty of options including potential fights with one or more of Jono Carroll (who'll challenge IBF super-featherweight Tevin Farmer in March), Irish lightweight champion Feargal McCrory, Luke Campbell, Ricky Burns or Anthony Crolla. “Anthony would be well able for any of them,” said Magee. “He has no problem making super-featherweight and he is a huge super-feather, he is strong but he just has never shown the potential that everybody says that he has. This is his chance to do it, this is his chance now. “He has just gone 30 years of age and he needs to step it up so with the backing of Poxon Sports, ITV and Al Haymon, who is at the head of all of this and can do anything for anybody because he has the stable, could fast-track Anthony if he is good enough. Also out there for Cacace at his best and with a title to trade are the likes of Scott Quigg and Lee Selby (also on the O2 bill and now operating at lightweight). Magee agrees that fights with Carl Frampton (his former Cyclone Promotions stablemate) or Michael Conlan are unlikely at present but could happen “somewhere down the line”. “Why would we hold Cacace back any more?” asked Magee. “Everybody says, I do too, that he has great potential. He didn't perform that night against Ward in the way that he should have and here is his chance at redemption. 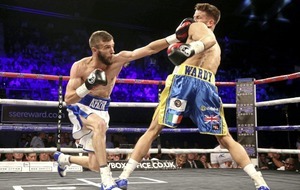 Cacace is being trained by Sean McCullough at the Emerald Gym in Belfast and Magee believes that the former Irish and Celtic super-featherweight champion is more focussed than ever before. 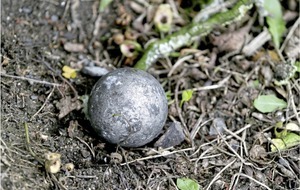 “I'm convinced he is and he is anxious to get on with it,” said Magee. “We need to go upwards now and upwards means fighting world class opposition. “There are plenty of good fights out there at super-feather and lightweight and I'm looking at all the options. “It's not beyond possibility that, come the end of the year, Cacace could be headlining a bill in Belfast. It would have to be something big, an eliminator for a world title or something of that nature, but the names are out there. It's achievable, if he's good enough he'll get the opportunity. LEO Santa Cruz says he is prepared to travel to fight Carl Frampton in the UK but he also has his eyes on featherweight champions Garry Russell jnr, Gervonta ‘Tank' Davis, Oscar Valdez and Josh Warrington. The Mexican who lost to and then defeated Frampton in world title fights in New York and Las Vegas threw over 1000 punches when he defended his WBA belt against challenger Rafael Rivera at the weekend and intends to fight in June or July and again before the end of the year. Santa Cruz beat Rafael by unanimous decision over 12 rounds in Los Angeles and is now weighing up his options. Frampton is one, but there are several others. “I would love to travel,” he said. “I've never been away to fight so if they offer me and my team want me to go over there (to the UK) and they say ‘yes' then I'll go over there. 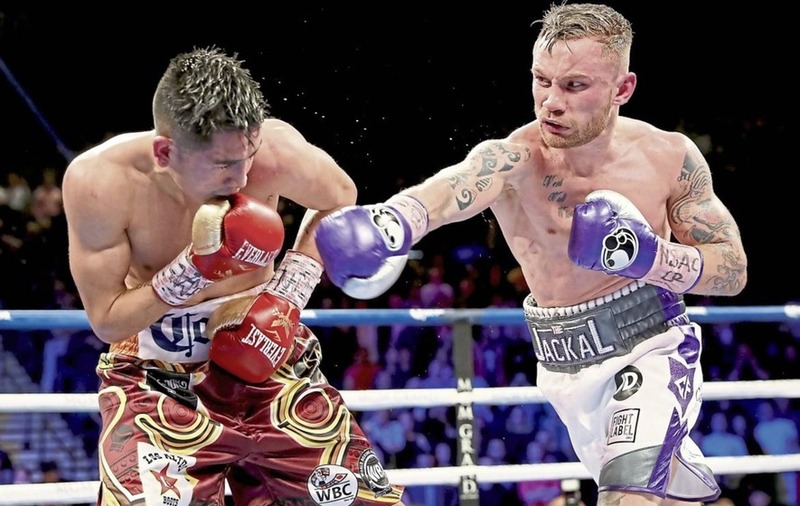 With Davis currently operating at super-feather, Russell regularly inactive and Warrington obliged to defend his IBF title against mandatory challenger Kid Galahad, the timing could be right for Frampton, who remains a massive box office draw, to entice his rival into completing a trilogy. However, with no belt to trade the fight remains a long shot for ‘the Jackal' especially given the amount of options there are for Santa Cruz. The LA-based Mexican says boxing manager and promoter Al Haymon will get a shortlist of possible opponents and that he will make the decision. “I'll him the names I want and whoever he says,” said Santa Cruz. 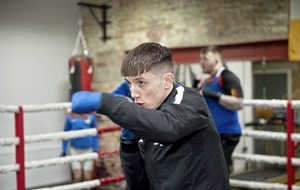 Meanwhile, Ryan Burnett is back in training and is determined to become a world champion again. “I will become world champion again – 100 per cent. 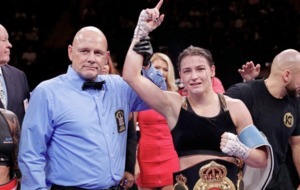 I have got to get back and become world champion again,” Burnett said. VETERAN Belfast journeyman James Gorman has confirmed that he is hanging up his gloves. Gorman enjoyed a remarkable career and retires with an 8-53-1 record that included a Northern Ireland Area Light-Welterweight title back in 2007. Gorman also fought for the Irish title twice before giving up the sport in 2008. He came out of hibernation in 2016 and fought 20 times that year as he built up a reputation as one of the most respected and reliable journeymen on the circuit. He was busy in 2017 and last year too but family and work commitments mean it looks like we have seen the last of this durable and skilful fighter. Enjoy your retirement Jamsey.